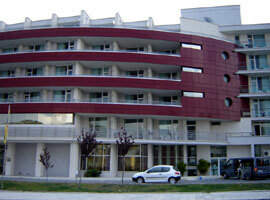 On the pedestrian promenade of New Nessebar, this hotel in Bulgaria is located around 150 m from the beach and approx. 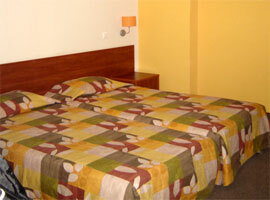 10 minutes from the old town of Nessebar on the popular tourist train. Located by the pedestrian promenade of New Nessebar, around 100 m. from the beach, which has sun loungers and parasols (extra charge). The famous old town of Nessebar, with its many sights, restaurants, cafés, taverns and small shops, is a 10-minute walk away ´ or you can take the economically-priced tourist train, a favourite with children. Regular bus service to the beach. 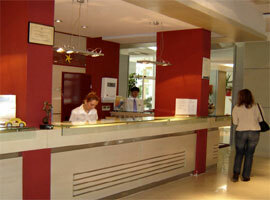 The new, modern, fully air-conditioned hotel offers all amenities for a relaxing holiday. 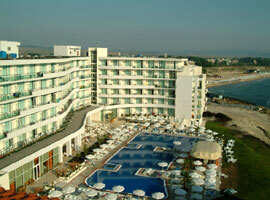 It offers guests 230 rooms on 4 floors, lifts, an elegant lobby with reception and safety deposit box, bar, restaurant, À la carte restaurant, cafeteria, conference room, hairdresser´s and Internet Corner. 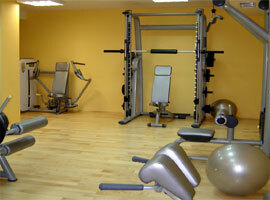 In the wellness area there is an indoor pool, fitness room, sauna, a beauty salon and massages. Outside in the grounds is a swimming pool with an integrated children´s pool, sun terrace, sun loungers and parasols free of charge. Pool bar. 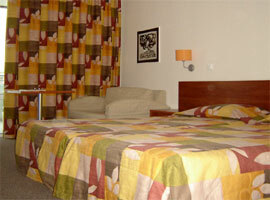 Modern, comfortably equipped rooms, with telephone, satellite TV, air-conditioning, minibar, carpet, shower, WC, hairdryer and balcony. Some rooms have a lateral sea view. 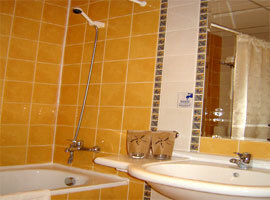 Single-occupied double rooms available. 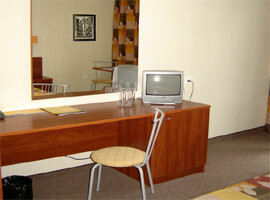 Suites: combined living and bedroom, otherwise identical facilities to the double rooms. In the numerous bars, cafés, taverns and restaurants of Old Nessebar. Varied entertainment programme during the day and at night, Children´s entertainment programme. 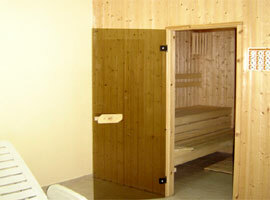 In the hotel, billiards, sauna and massage for an extra charge. On the beach a wide range of water sports are available for an extra charge. In the area: Cycling and riding in the resort. Tennis, bowling and minigolf available at reasonable prices. 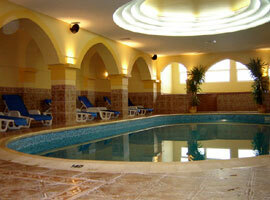 All prices in Euro, per room, per night, ALL INCLUSIVE included, use of indoor swimming pool and fitness.